Neat hotel & friendly staff. Convenient to Vincentia Marketplace and beaches. Have stayed here previously on five occasions. Would recommend it for value for money & friendly hospitality. Good location. Needs to upgrade the bathrooms. The shower is a trickle. The attached restaurant is best avoided (Japanese). Food ok but service a debacle. Friendly managers. Internet a joke. needs to be upgraded. Towels from previous guest left behind door but fixed. 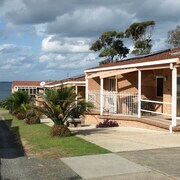 Nice and short drive to the beach, cabins are next to the camp ground so there may be some noise on the weekend, check in is at 2 pm kind of breaks up your day as you have to drive to the cabins to check in mid day but overall wonderful, clean and cosy accomodation in Jervis Bay area. Close to everything in town. Just bit noisy - street nose and the pub over the road. safari tent fantastic kids loved it, great service. would come back for sure. The only getaway you'll ever regret is the one you didn’t take. 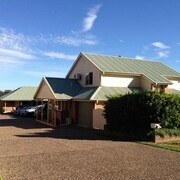 So, check out our hotels in Jervis Bay! You'll find a pretty decent range a little out of the centre. 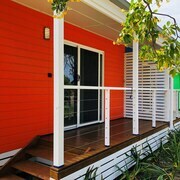 lastminute.com.au has 11 options within 10 kilometres of Jervis Bay's heart. Among the most central hotels on offer, the Sanddancers B&B and Dolphin Shores are cool places to curl up with a movie in bed after a day of incredible adventures. 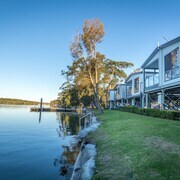 Huskisson, 13 kilometres from central Jervis Bay, has 8 accommodations. Struggling to choose? 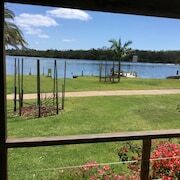 Start by looking at the rates and amenities at The Huskisson, Sandholme Guesthouse, Huskisson Beach Motel, Dolphin Sands and Anglesea Lodge. You may also like to try the Paperbark Camp, which is located 16 kilometres away. 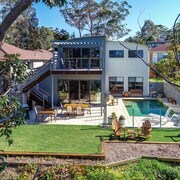 Or perhaps the Bannisters by the Sea, just a distance of 25 kilometres from Jervis Bay. 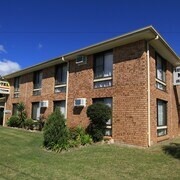 We'd also suggest the Ulladulla Guest House and the Pigeon House Motor Inn. The first is 30 kilometres away from town, while the second is 30 kilometres away. Can't keep those feet still? If you're nodding in agreement, then go and explore the wider South Coast region. Outdoorsy types should check out Jervis Bay's incredible beaches, coastal plains and rivers. A few other must-sees to stick on your hit list are art galleries and lighthouses. Additionally, if you’ve always wanted to go hiking and shore fishing, you'll have the opportunity to in this corner of Australia. After more options? Hole up like a rockstar in Sussex Inlet (just try not to wreck the joint). Sitting 11 kilometres away and home to the Saint Georges Basin Country Club and Paradise Beach Reserve, it's sure to be an adventure to remember! If you're keen to spend a night or two in Sussex Inlet, consider the rates at the Sussex Inlet Motel and Bentley Waterfront Motel & Cottages. 30 kilometres to the north of Jervis Bay you'll find Worrigee, home to the Marriott Park Motel and Pleasant Way River Lodge. If you're staying in Worrigee, don't miss the Two Figs Winery and Stockland Nowra. Sweet as! All you've gotta do now is put on your out-of-office and split. 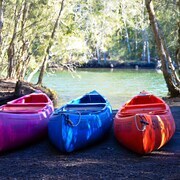 After all, you've earned this lastminute.com.au getaway to Jervis Bay, right?